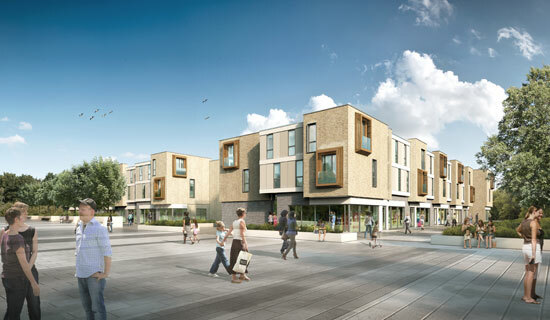 Employer’s Agent and Quantity Surveying Services on a new build retail and apartment scheme at Great Park, Newcastle. Works include the provision of two blocks of accommodation, comprising ground floor retail space and 38 apartments designed to meet HCA quality standards and to achieve Secure by Design accreditation. The built forms are complemented by a quality landscaped public square informed by pedestrian movements and bus infrastructure routes.